Sean Connery And the DB5 in Goldfinger. . HD Wallpaper and background images in the James Bond club tagged: james bond. 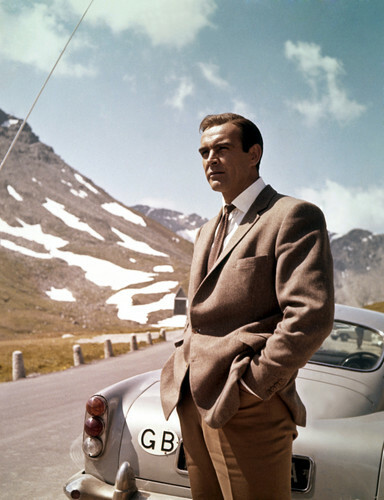 This James Bond photo contains traje de negocios and juego de negocio. There might also be calzada.